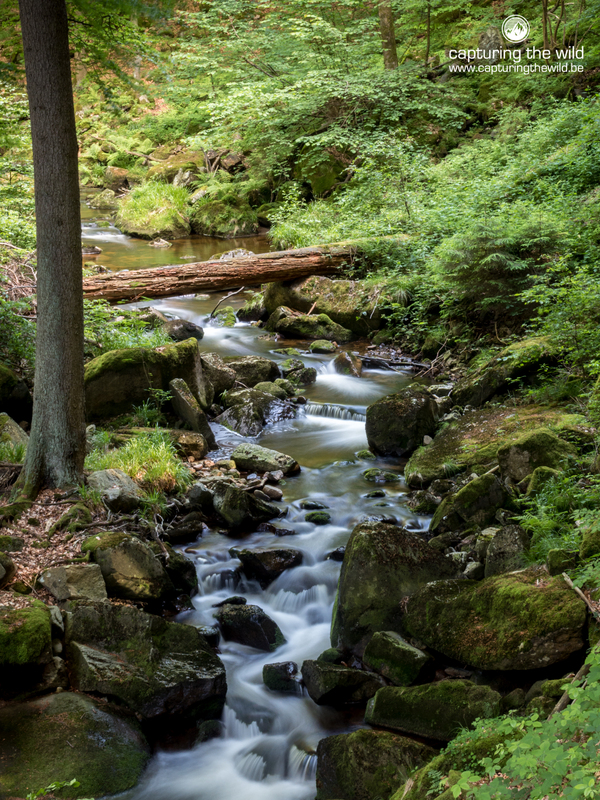 The Harz Mountains are situated in north Germany and spread out across parts of Lower Saxony, Saxony-Anhalt and Thuringia. The closest major cities are Hanover (100 km) and Wolfsburg (80 km). It occupies an area of 2,226 square kilometres. There are a few cities you can use a base. Bad Harzburg, Clausthal-Zellerfeld and Ilsenburg seemed to be one of the nicer places I passed during my trip. Goslar is also a great option. There are many options for accommodation including a few nice camp sites. Wild camping is not allowed but I assume nobody will really notice if you pitch your tent somewhere in the evening and pack up the next morning. 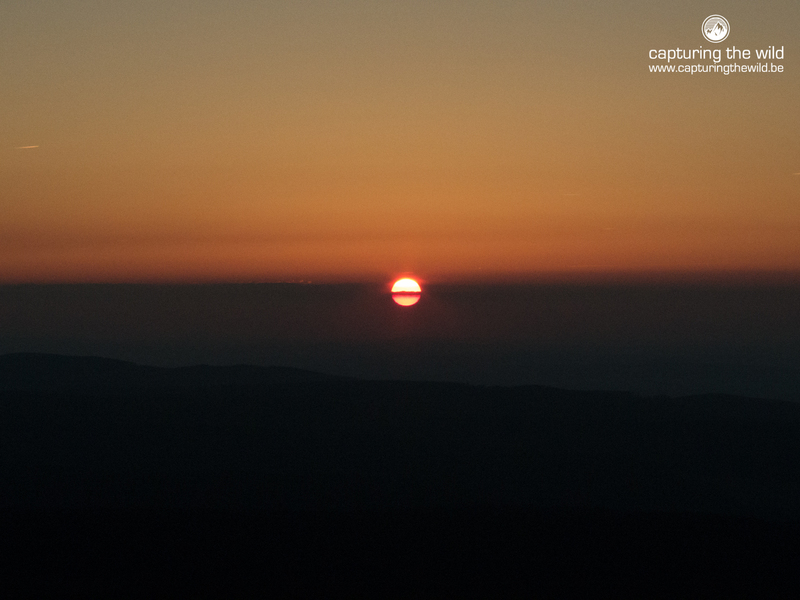 Chasing the sunset on Brocken mountain. Not many things are more beautiful than a gorgeous sunset. 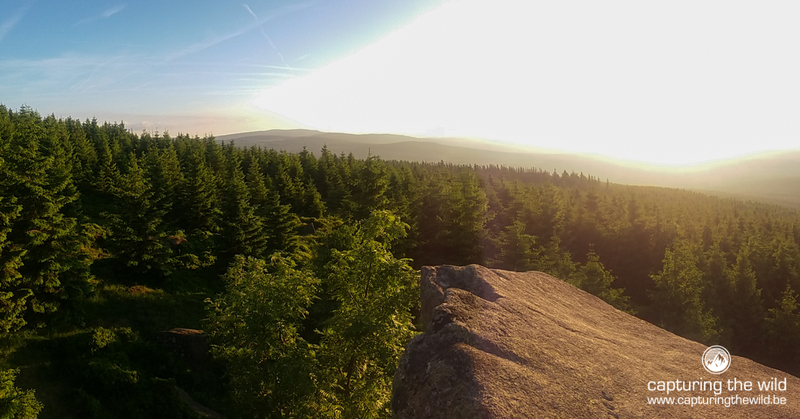 When I suggested my friend to climb the highest mountain of Harz to watch the sunset she was all up for it. We decided to leave in the afternoon from Ilsenburg where the river Ilse carves itself through a stunning valley. It was supposed to be one of the most interesting ascents to the top. The hike starts at the end of the Ilsetal road. There is a car park on the left side. The first kilometer just follows the road but soon you will enter the forest and the river Ilse shows up. The view in the valley is magnificent. 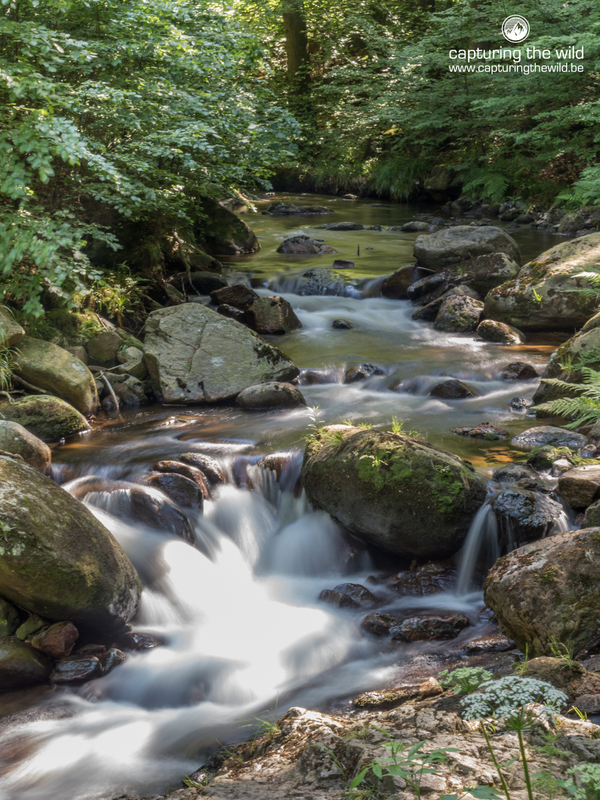 I just love the sound of running water and the many rapids and waterfalls gave me a chance to take lots of pictures of one of my favourite subjects. The valley is dominated by hug pine trees and you cross many bridges and boardwalks. There is some kind of gravel road that goes up the mountain as well but you can venture of on the single trails that follow the river. You will pass the stunning Ilsefal on your right side. From here the forest will slowely open up and you will enter the subalpine area of Brocken mountain. The trees become smaller and less dense and the trail becomes more rocky. There are a few options to continue to to the top. You can follow a small single trail to the right or just follow the wider main trail. We decided to take the wider trail and come down on the single trail on the way back. The trail gets a bit steeper from here. Keep an eye on the right side for a few amazing view points. The last section before you reach the top is a winding cobble stone road that’s very steep. You can see the Brocken transmitter tower in the distance. 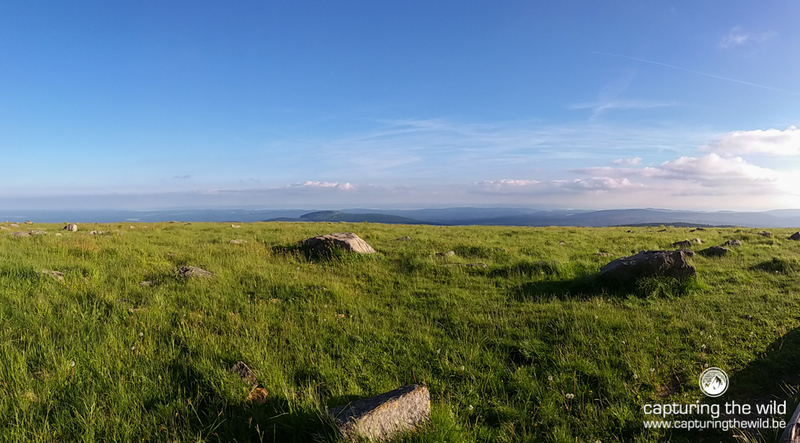 After a 3 hours hike we summited the highest peak of the Harz Mountains. You can also go up by the famous train that runs through Harz. The top is actually nothing special but the view to the surrounding mountains and the villages below is awe-inspiring. We wondered around and took some photos and because we are both hungry 24/7 we ate almost all the food we brought. On the way up we already picked our spot to watch the sunset just 2 km below the top. We setup our camera and just watched the sky turn gold and red. There was a bit of a haze but that didn’t spoil the splendid sunset. There was nobody else around. It’s those moments that make you feel completely peaceful and content. You look down to the world below. Listen to the sound of nature. Swallows were swooping over our heads and we could hear the wind gently rustle through the trees. We all need times like these in our lives. They make you come back to yourself. People tend to forgot who and what they are. Nothing brings you back to the natural world better than watching the clouds change into a thousands of colours and listen to the sound of nature. As soon as the sun dipped below the horizon it started to get chilly and we began our descent back to Ilseburg. It’s quite eerie to walk around in a forest at night. I just love it! It brings you on edge and at night your senses are working a lot better. We sat down in the forest a bit and listened to the waterfall crashing on the rocks. A great end to a perfect day! Do you mind if I post a link to this page in my own blog? I’m making a reference to The Brocken and this page is a beautiful representation of it. Thanks! sure you can! thanks a lot 🙂 send me your blog as well!